.........to ministry, and financial ability. .....3. Completion and remittance of all necessary applications and fees. .........academic ability for entry into degree programs. Conservative Theological University admits highly motivated, qualified men and women who are involved in Christian ministries or who are preparing for Christian service. No student meeting admission requirements will be refused because of race, color, male or female, or national origin. Application must be made on an official CTU form supplied by the seminary. The Admissions Office will only consider an application for admission when all required elements have been submitted. When action is taken by the Admissions Office, the applicant will be notified of the decision with appropriate information of the next necessary step. An application for admissions is valid for only one year. If the application process is not completed in a year, the application will become invalid and the prospective student must reapply. A high school diploma or GED is desirable but not required. Application form, fee, references, and personal testimony are all required. Applicants for Associate's and Bachelor's degree programs must have a high school diploma or GED, and have an official transcript sent to CTU. Exceptions are extremely rare; they must be requested and justified in writing, and be approved by the Admissions Department. All other general requirements are necessary. All general requirements are necessary. Master's programs require an acceptable Bachelor's degree as prerequisite. MA programs require a BA. ThM applicants must have proficiency in Greek. Any exceptions must be requested and justified in writing and approved by the Admissions Department. All general requirements are necessary. 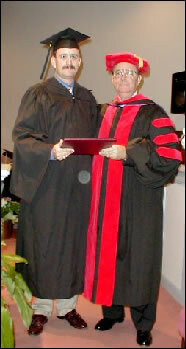 A MDiv degree or its equivalent is required as a prerequisite. A "A-B" aver age (3.0) grade point average [GPA] on a 4.0 scale is also required. Also required are at least two years experience in a specific career ministry. A current ministry can serve as the context of advanced ministerial studies, practical appli- cation and development. A MDiv or ThM or their equivalent is required as well as a "A-B" average, demonstrated competence in research and writing, and a thorough knowledge of Biblical truth. Sufficient rationale for pursuing the degree is required. A MDiv or ThM or their equivalent is required, as well as a "A-B" average, demonstrated competence in research and writing, a thorough knowledge of Biblical truth, sufficient rationale for pursuing the degree, and competence in the Biblical languages. A MDiv. or its equivalent is required, as well as a "A-B" average, demonstrated competence in research and writing, a thorough knowledge of Biblical truth; also, a sufficient rationale for pursuing the degree and a level of competency in background, knowledge, philosophy and/or experience in Christian Education. If a student has not completed successfully an on-campus class, seminar, or external course in a twelve-month period, readmission will be required. The reactivation fee must be paid. Acceptance will be under any new tuition rates and degree program requirements. If there was any previous tuition assistance or scholarship, there must be a reapplication for such. If there exists an outstanding balance on the student's account, satisfactory arrangements must be made to help effect readmission. DON'T SETTLE FOR ANY SCHOOL THAT OFFERS A DEGREE FOR A FEW HUNDRED DOLLARS WITH NO STRICT THEOLOGICAL, ACADEMIC OR EXEGETICAL REQUIREMENTS. NO QUALITY CREDENTIAL CAN BE RECEIVED FOR A FEW DOLLARS AND IN JUST A SHORT FEW WEEKS OR MONTHS. OUR STUDENTS ENJOY THE MOST THOROUGH DEGREE PROGRAMS ANYWHERE IN THE WORLD. 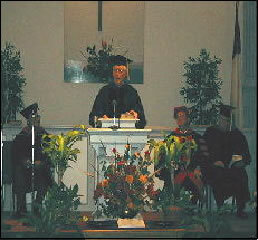 STUDENTS GRADUATING FROM CTU ARE PREPARED FOR MINISTRY IN THE 21ST CENTURY. CTU IS THANKFUL FOR OUR THEOLOGICALLY CONSERVATIVE, SCRIPTURALLY SOUND, AND PERSONALLY COMMITTED FACULTY MADE UP OF FULLTIME, ADJUNCT AND VISITING PROFESSORS, WITH EACH PROFESSOR HAVING EARNED CREDENTIALS AND PROFICIENCY IN EACH THEOLOGICAL-BIBLICAL DISCIPLINE BEING TAUGHT. 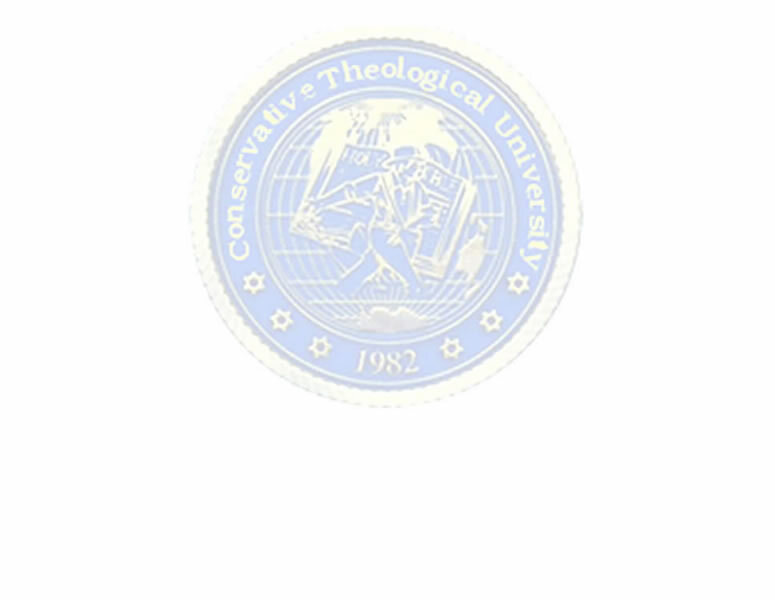 EVERY STUDENT WILL ADVANCE IN HIS/HER BIBLICAL KNOWLEDGE AND THEOLOGICAL DEPTH BY HIS/HER STUDIES THROUGH CTU.